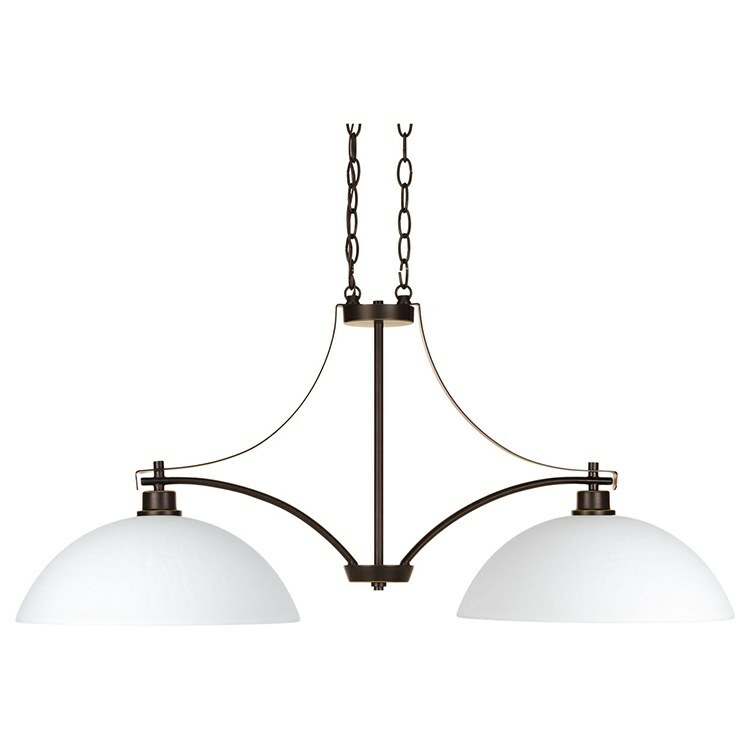 The craftsmanship of sculpted glass in this stunning lighting fixture defines the Legend collection. This two-light linear chandelier is highlighted by glass that smooth on the outside with a subtle, nature-inspired pattern on the inside. When illuminated, this elegant fixture appears to come alive. 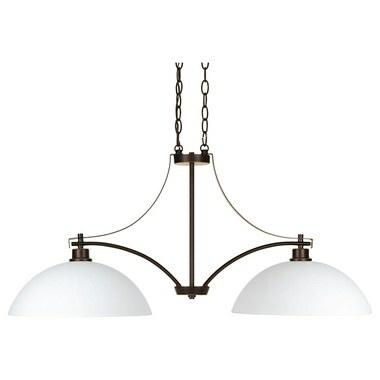 Slightly oversized shades complement the arching arms finished in Antique Bronze. The canopy covers a standard 4" hexagonal recessed outlet box. Includes a mounting strap for the outlet box and two pieces of six feet of 9-gauge hanging chain.